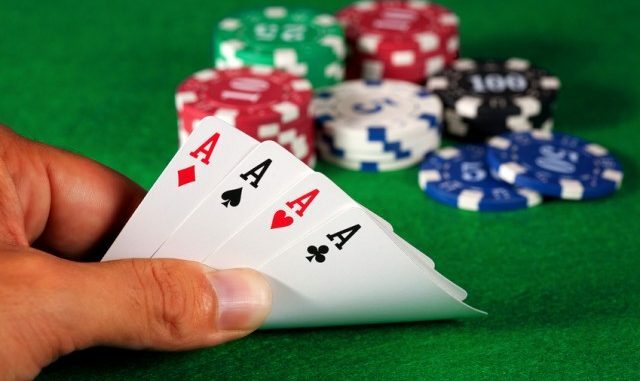 HomeOnline Gambling NewsWho Are The Best Poker Players from Spain? The Spanish National Festival, also known as Fiesta Nacional de Espana, takes place every October 12th and is one of the biggest holidays there. Let’s share in the celebration by taking a look at the best four poker players that came from Spain. Spain has some of the great players, with many recent superstars. However, Spain has some strict laws regarding playing poker, especially online. This means that some of the best Spanish poker players had to leave their home country to further pursue their careers. Therefore, the players listed here do not always reside in Spain, and some call other countries their home. However, they all have one thing in common – Spanish genes. Let’s take a look! Adrian is only 24 years old and has managed to earn a total of $15.8 million in tournament cashes-an amazing feat. Moreover, this number only takes into account the live tournaments, and it is believed that he has won even more in online tournaments (another couple million). This Madrid-born poker superstar had his first victory back in 2012 when he was only eighteen years old. It was a $550 buy-in event that took place in Madrid. It wasn’t long before he started winning big. Only six months after that cash, he managed to land his first six-figure score. Carlos “El Matador” Mortensen was the main guy in Spain before Adrian Mateos came to power. At the moment, Mortensen has two WSOP bracelets along with three titles from World Poker Tour. Mortensen is 46 years old with total live earnings of approximately $12 million. His biggest win is definitely the WSOP Main Event. He was a subject of strict poker laws and had to emigrate to the US to pursue his career back in the 90s. He is known for a loose-aggressive play which is unpredictable and very interesting to watch. Sergio occupies the amazing third place when it comes to tournament earnings as he accumulated a total of $8.3 million. Furthermore, he allowed the tracking of his online earnings which is now around $4 million – not bad. He was also the 2012 generation, which means that 2012 was the year he started dominating the world of poker in Spain. He won the €1,650 WPT National event that took place in Barcelona and managed to make €80,000. Only a couple of months later, he participated in £770 UKIPT London Main Event where he made £144,555. Lopez is also a subject of the Spanish poker inquisition and had to run away from his country to pursue his career. He is known as “davaman” and “Sr.Penes” at online poker platforms such as PokerStars and partypoker. Combined earnings from his wins are approximately $2.1 million. He is not really a live poker type of players, but he tries to change that and to participate in more live events.